The Cigardian TM is a Combination Golf Divot Tool and Cigar Holder. It is machined out of brass, and has a solid and comfortable feel. best divot tool they've ever used and a work of art. Have it Custom engraved. Free Shipping to the U.S.A. and Canada. 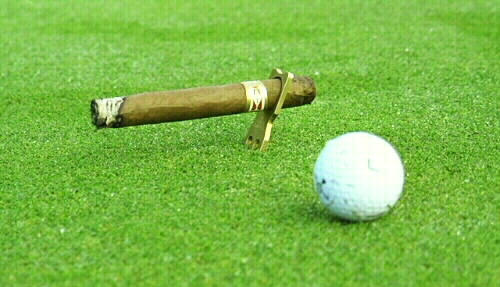 The Cigardian is a multi-purpose golf divot tool and cigar holder.